Travelzoo is an award-winning and independent publisher of travel, entertainment and local deals. 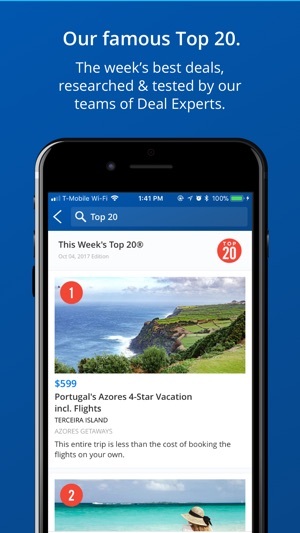 Our app, featured as "App of the Week" in The Guardian, The Sun, Sunday Mirror and The Sunday Times, has 5 million global users browsing, discovering and purchasing deals directly on their phones. Our global team of Deal Experts do the deal-finding for you, uncovering the best deals around. They spend time negotiating on your behalf -- ensuring the deal cannot be packaged at better value anywhere else and that there are extra perks available for our subscribers. 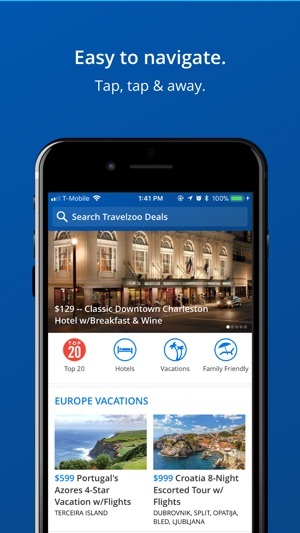 As soon as the new Top 20 is released, the app notifies you -- be one of the first to see the week's best of the best deals, selected by our Deal Experts. Dinner in Barcelona, cream tea in the Lake District or a luxury hotel stay in Vegas? 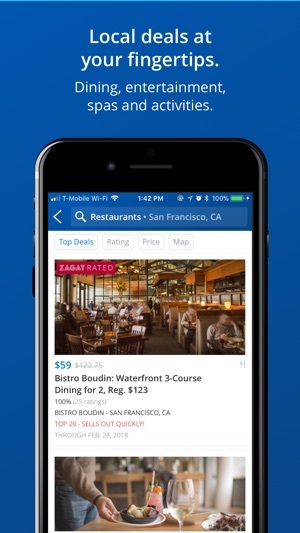 Tap the app to find exclusive deals wherever you are -- all deals are displayed on a map, making it easy to find the deals near you. Easily review the details of your next deal under My Vouchers and redeem at the tap of a button -- never print a voucher again. And if you love our app, come back and rate it! - We welcome your input. For any issues found or improvement requests, email suggestions@travelzoo.com. We love this site, we are retired and able to enjoy the delights of some of the deals on offer. We have used numerous 4* Hotels and great eating places, looking forward to our next trip towards the end of the month for our Wedding Anniversary. The Lakes is our favourite place and we enjoyed Scarborough last year, we try to do a few days every month or two. If I am not sure I always check out Trip advisor etc for reviews and most have great ratings, what more could you want for great reductions. bring it on. I have probably been on 20 holidays with travelzoo. From long haul to Cuba and Mexico to city breaks in Europe and weekends in the UK. They have always been good quality and offered excellent value for money. I recommend it all the time and frankly is the unpaid salesman! One holiday I was caught in a hurricane and boy was I pleased that I had bought into a package holiday at that point. I’m in love with Travelzoo and if you are like me, the inveterate traveller you will love it too! 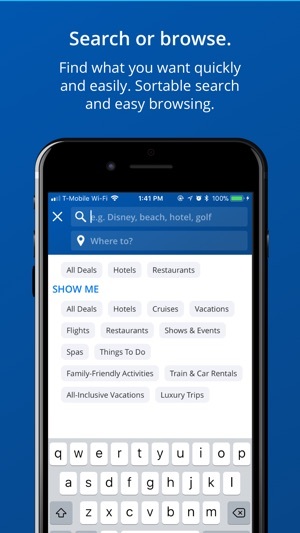 I always check out my messages from Travelzoo - this gives me some great offers and some places to look at that I perhaps would not have considered previously. I have used the site to book 6 holidays / stay cations in the last 12 months. Travelzoo please keep sending me your great offers, but please can you let me know hours before everybody else !